How a midsize car survives in an SUV world. 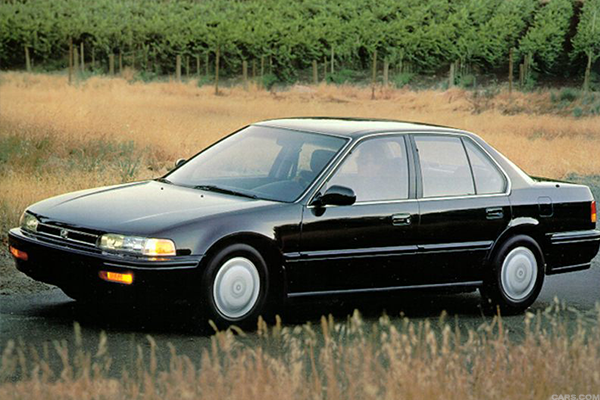 The Honda Accord has built a remarkable reputation around being perfectly unremarkable. 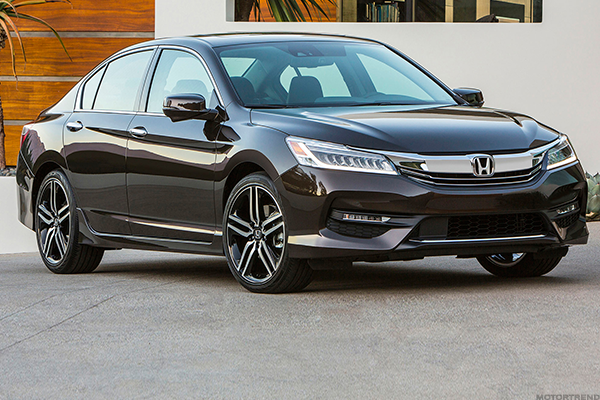 We don't mean this as a slight against Honda's (HMC - Get Report) stalwart midsize. It's just that its inoffensive, durable nature has made it such an afterthought in recent years that both drivers and vehicle fleets alike seem to purchase it out of instinct. 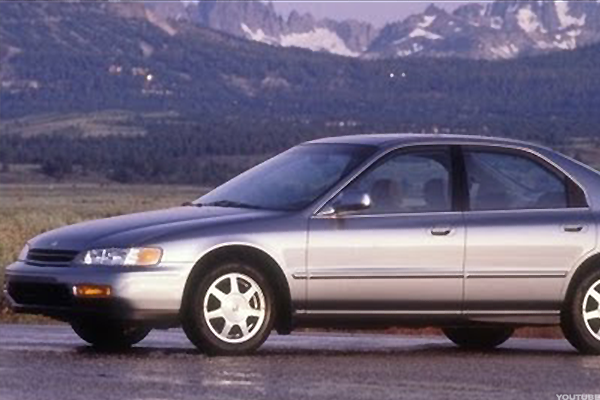 The Honda Accord has been sold in the U.S. for little more than 40 years and continues to be a go-to vehicle even in down years. Despite a 5.5% slip in sales so far this year, the Honda Accord still ranks among the Top 10 vehicles in the nation in sales. 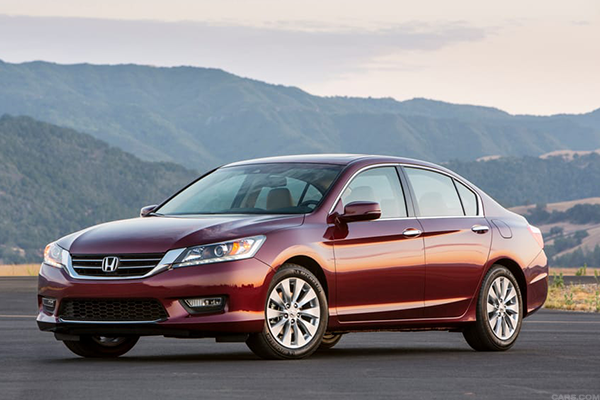 The more than 160,000 Accords sold through June may lag behind Honda's small Civic (176,000) and midsize CR-V crossover (187,000), but it still runs second only to the Toyota (TM - Get Report) Camry among midsize cars. 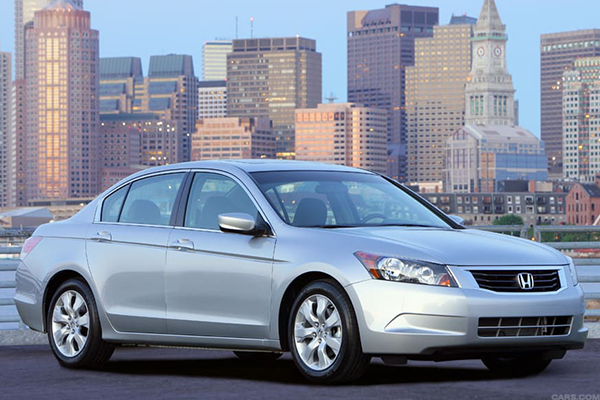 However, the folks at automobile rating and pricing site Kelley Blue Book point out that the Accord's relatively low starting price (around $23,000) and infrequent trips to the shop keep its five-year cost of ownership at $36,442. That's the best of any midsize car and almost $3,000 less than the Toyota Camry or Hyundai Sonata. That's not so bad for a car that debuted in the U.S. as a three-door hatchback in 1976 amid a global oil crisis, fuel shortages and spiking prices. 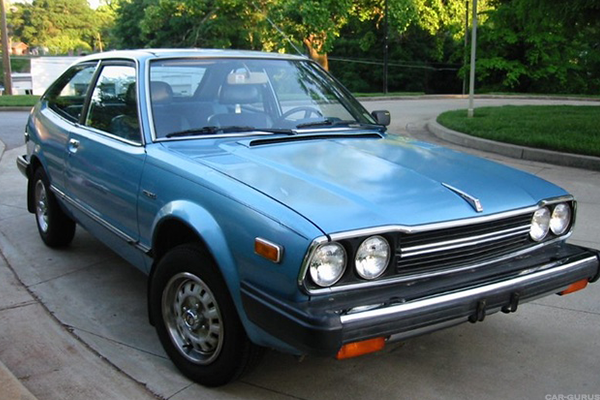 By the 1982 model year, the Accord was the first car produced in the U.S. by a Japanese automaker and its plant in Marysville, Ohio, cranked out more of them than any U.S. automaker could keep up with. The more than 195,000 that rolled off the line in 1982 ballooned to 414,000 by 2001 before settling in at 345,000 last year. 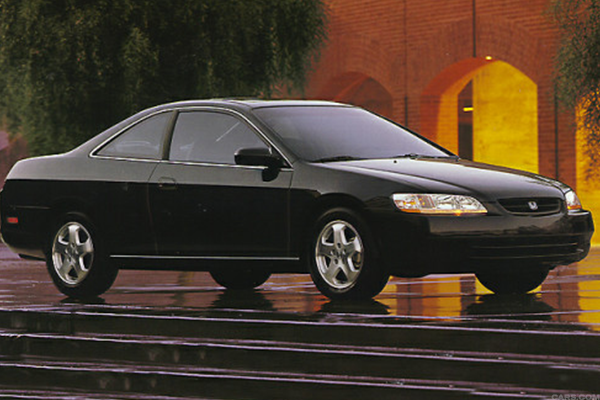 As Honda prepares to roll out the 10th generation of Accords with its 2018 models, we look back at 20 of the models that brought the Accord to where it is today. Feeling the new Nissan Leaf? The one that started it all. Though this hatchback sold just less than 19,000 vehicles in its first year, its more than 30 miles per gallon of fuel efficiency were roughly double the 14.9 mpg of the average car on U.S. roads four years later. 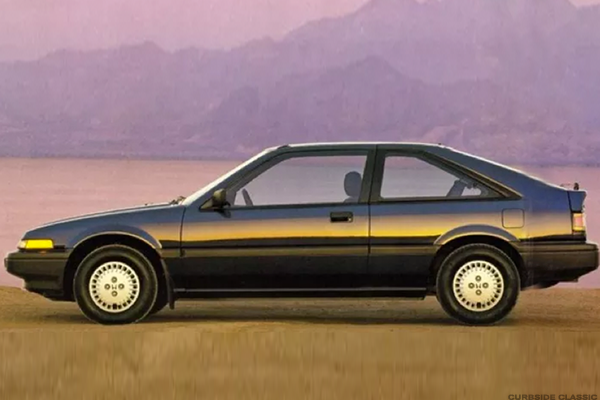 We ordinarily wouldn't include a model that arrived just a year later, but this was the year that the Accord stopped being a stretched-out Civic and started being the sedan we know today. 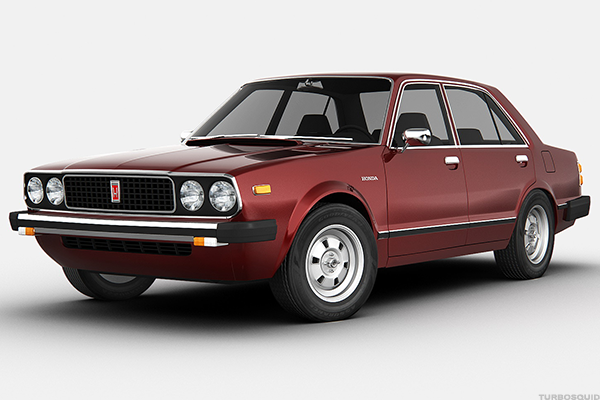 This is the one that would eventually be made in the U.S. and start a 15-year run of U.S. dominance for Honda. Surprisingly, the Honda Accord did all of that with shag carpeting, a velour interior and a few other disco holdovers. 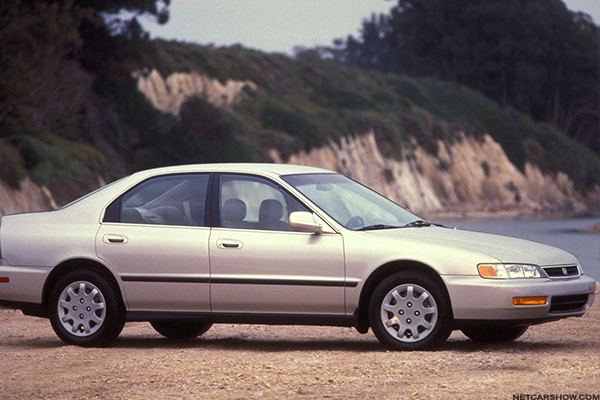 Yeah, this is where the Accord starts to look a bit more generic, but the standard auto-reverse cassette stereo, air conditioning, cruise control, power brakes, power steering, power windows, power door locks, digital clock and roof pillar antenna were big steps forward for accessible midsize cars. 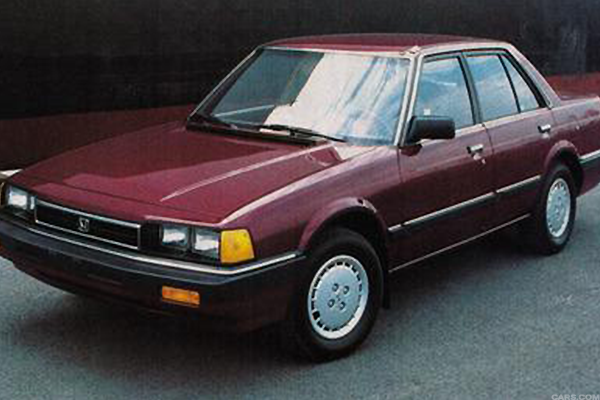 There's something iconically '80s about the Accord's flip-up headlights, but there's also something totally bogus about keeping all of the Accord's cooler options for the newly launched Acura Legend luxury midsize. Nothing special about this one, really. 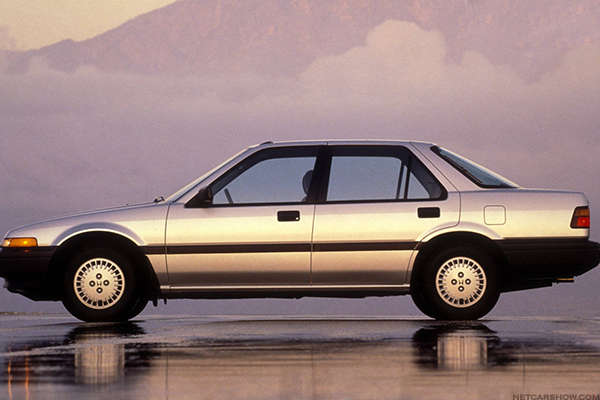 We just want you to see what an Accord hatchback looks like one last time. Bye-bye, hatchback; hello, 2.2-liter, 120-horsepower engine. 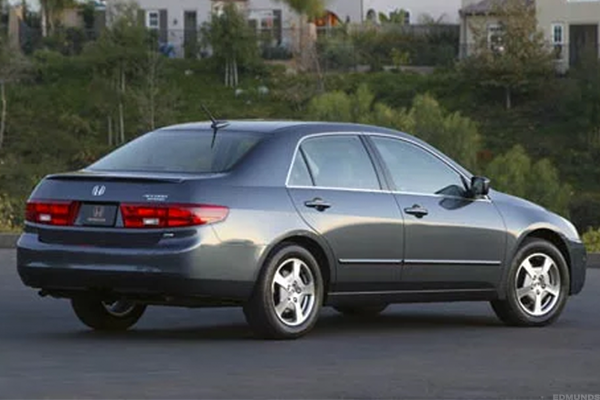 This Acura-looking Accord was the first to get features like ABS, CD players (including a trunk-mounted, six-disc changer), security system and rear spoiler -- all as options. Time for a facelift already, this time adding a 140-horsepower engine in the top trims, dropping driver's side airbags in as standard equipment and, for the first time, offering the Accord as a wagon. The fifth generation arrives with a much bigger Accord, if only to accommodate new safety features like dual airbags and reinforced side-impact beams. 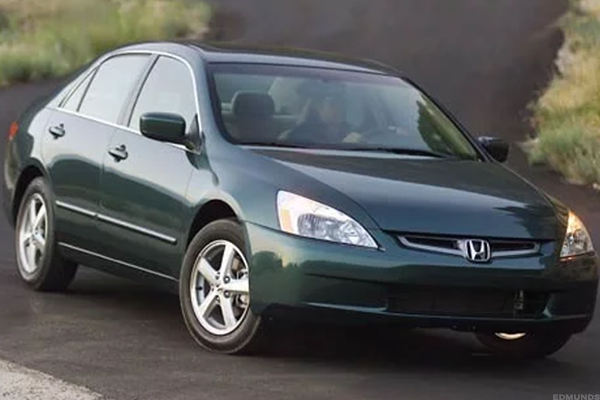 This was the last year for the Accord wagon, but the first generation to get a V6 engine -- making it popular enough to still be one of the most frequently stolen cars in the U.S.
With the V6 comes an overall softer look for the Accord. The more standardized Accord look takes shape. The sixth generation welcomes the silver monsters that dotted U.S. roads amid seas of SUVs. 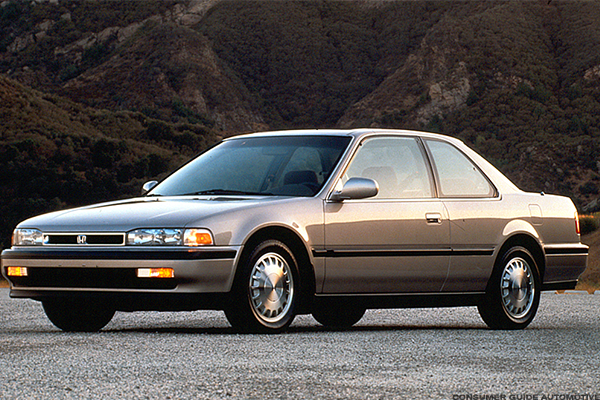 This Accord was the biggest built and finally eased drivers into amenities like air conditioning, cruise control, power windows, power locks, keyless entry, rear disc brakes, leather seats, CD players, and power sunroofs. 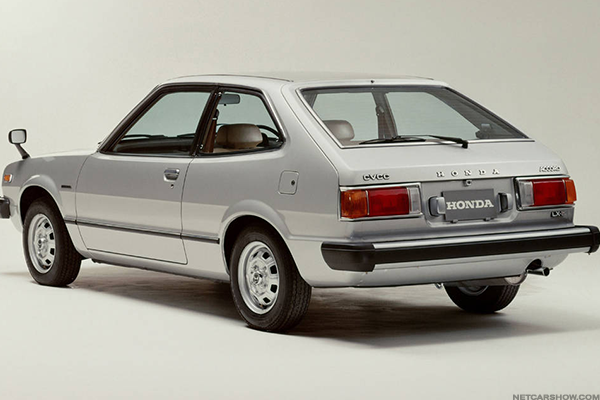 It's just a shame that the 3-liter V6 models that also offered 200 horsepower and traction control also came with enough transmission failures to drive lawsuits and ding Honda's reliability. 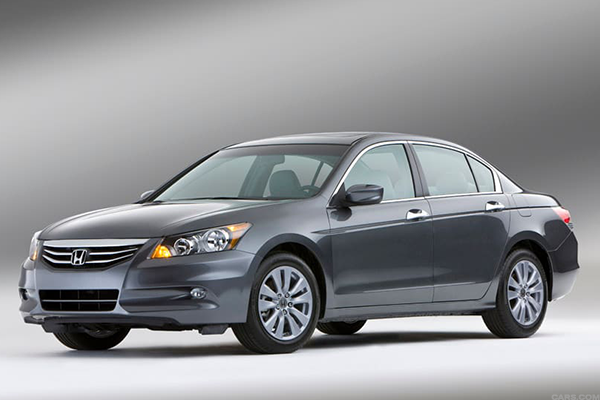 The generations of Accord get longer and the facelifts get more cosmetic. The only thing that set this one apart was the inclusion of CD players as standard equipment in most models -- just a year before Apple released the first iPod. The seventh generation brings even more space, but a brawnier 161-horsepower four-cylinder and a 230-horsepower V6. Chrome accents, GPS navigation and XM Satellite Radio all seem like big steps forward, but they were nothing compared to the facelift. 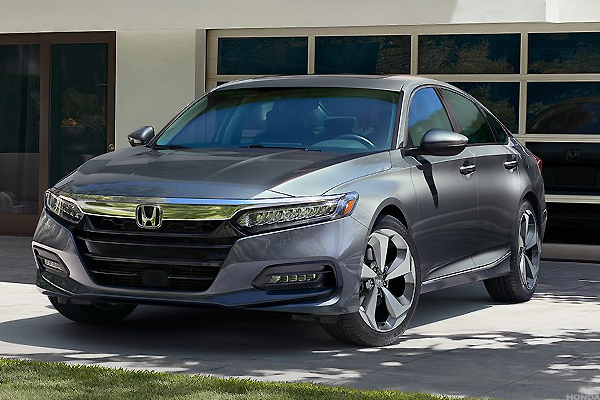 With the Honda Insight not making nearly as many friends as the Prius, Honda opted to drop a hybrid engine into the Accord. However, the combined 34 miles to the gallon wasn't much even at the time -- and certainly not enough to warrant the hybrid premium. Some of the blame should fall on the hybrid V6, which cranked out 255 horsepower and wasn't exactly a model of efficiency. That said, it was at least a start. 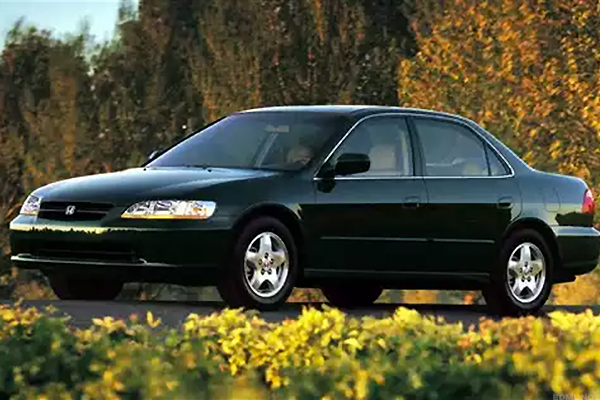 Well, the eighth generation finally did it: It made the Accord so large that the Environmental Protection Agency had to classify it as a full-size car. The brawniest four-cylinder hits 177 horsepower, the beefiest V6 generates 272 and the hybrid disappears altogether. Years after their introduction, we finally see anti-lock brakes, electronic stability control, front and rear disc brakes, A/C, keyless entry, power windows, power locks, and cruise control as standard features in the just-above-base trim. All the minor exterior changes you may expect, but the addition of a rear backup camera to Accord models with navigation is a sign of things to come. We could dwell on the ninth generation's standard 8-inch LCD screen, backup camera, Bluetooth, dual-zone automatic climate control and alloy wheels. We could talk about the smart safety features and optional navigation and touchscreen. 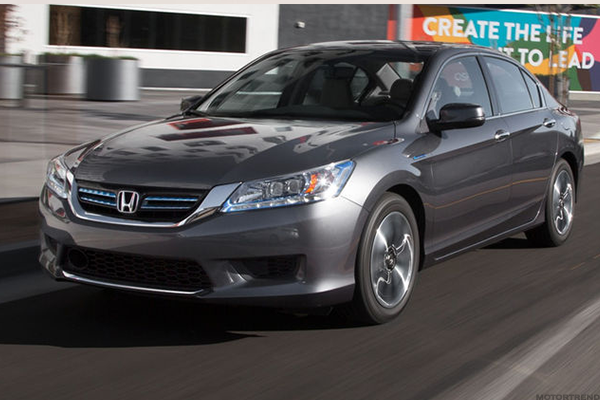 But the increased efficiency and return to midsize are gave the best indication of where the Accord was going. It only lasted for two years, was only sold in New York and California and mostly ended up in government fleets. Yet Honda managed 115 miles per gallon equivalent out of this plug-in and gave it 15 miles of electric-only range. 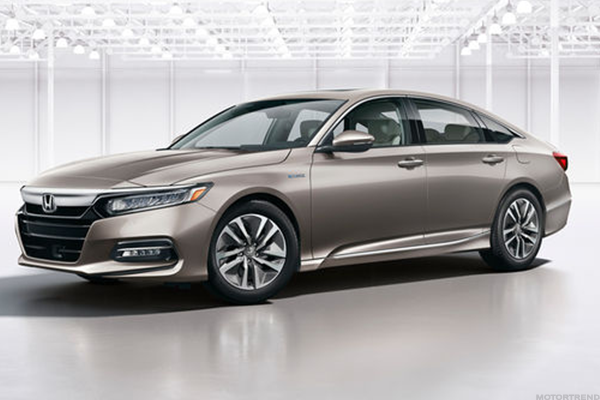 Honda took the lessons it learned here and applied them to the electic, plug-in hybrid and fuel-cell versions of the Honda Clarity, but this was a great step forward for the Accord overall. Prettier, more powerful (at 214 horsepower) and just what the Accord needs to get it to the 2018 threshold. Just unveiled earlier this month, the new Accord looks cool, but has to hope that America won't mind that it killed the V6. Turbocharged four-cylinder engines still top out at 252-horsepower, but will all that be enough in a market that prizes cargo space and utility above all else? Car Enthusiast? Don't miss these galleries..